The BFI’s Britain on Film was a project to digitise 10,000 archive films from the BFI National Archive and the UK’s regional and national film archives, and make those available online for free. Additionally, the project aimed to geotag the films and create a web interface to let users navigate and search by geolocation. Since that project completed that first phase, they have been working on a crowdsourcing platform, to let users add pins to the map at scene level (previously they addressed entire film level only), and go deeper (previously they stopped at the Ordnance Survey’s town / village / settlement level, not going down to street). That platform has taken quite a while to develop - turns out it’s quite complex to make an easy-to-use application to define a scene in a film, find a place on a map, drop a pin, and continue with more scenes. It was built by SciFabric, using their Pybossa platform which also was used for the British Museum’s amazing MicroPasts project. 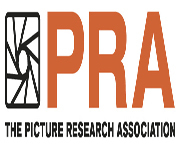 With an impressive total of 215 submissions to the FOCAL Awards in 2019, FOCAL’s Juries are now busily judging the Production, Researcher and Restoration Awards. The 2019 Competition sees production entries from Europe; North America; Africa; and Asia & Australasia and will involve the participation of approximately 90 Jurors drawn from across the world by the time that the winners are finalised. British Pathé, the world-famous newsreel archive, has appointed Georgina Angless to oversee its North American licencing service. She takes over from Richard Goldthorpe who had handled North American enquiries since British Pathé launched there in 2015. British Pathé, the world-famous media company founded in London by renowned French filmmaker Charles Pathé, has appointed Andre Gailani to oversee its licencing service for producers in France, Belgium, the Netherlands, and Luxembourg. The BFI's Britain on Film was a project to digitise 10,000 archive films from the BFI National Archive and the UK's regional and national film archives, and make those available online for free. Additionally, the project aimed to geotag the films and create a web interface to let users navigate and search by geolocation. The legendary and inventive director to receive Lifetime Achievement Award. FOCAL International are delighted to announce that the 2019 recipient of the FOCAL Lifetime Achievement Award will be the renowned film director, Julien Temple. The UK’s leading broadcast, production and media tech event will return to ExCeL London from 26th - 28th February 2019. Now officially open for registrations, BVE 2019 is here to create a unique opportunity for over 12,000 creatives, technical professionals and business leaders to experience the future of content creation, commercial innovation and cutting-edge technology. BFI Southbank kicks off 2019 with a major season dedicated to the groundbreaking and influential films of Michelangelo Antonioni. This major two month season Antonioni: Confronting The Modern World With Style will include a BFI re-release of Antonioni’s last American film, The Passenger (1975) starring Jack Nicholson and Maria Schneider, which will be back in selected cinemas across the UK from Friday 4 January. 'Tis almost the season of chilly nights and office parties. So cozy up to friends and colleagues at the FOCAL winter party on 4th December. Following the hugely popular revival of the FOCAL pub quiz last year, they're bringing it back once again with their resident Pub Quiz master Ben Jones. FOCAL International are continuing their wildly successful Breakfast with the Archives series with a very special winter edition at the Soho Screening Rooms on 21st November with R3el.com. The presenters for the Panda Awards ceremony at the nature films Wildscreen Festival have been announced: UN Patron of the Ocean, Lewis Pugh and Wildlife Biologist and Presenter, Lizzie Daly will be hosting the 2018 Panda Awards. Comedy Genius (22nd October 2018 – 31st January 2019) will be the UK's greatest ever celebration of film and TV comedy. From boundary-pushing writers and performers who say the unsayable, to silent slapstick heroes of the past and disreputable and anarchic voices of the present, this season will celebrate comic genius with an array of talent taking part throughout the season. The 2018 Wildscreen Festival Hub will be situated on Millennium Square in Bristol. As well as delicious catering, networking spaces and registration, the hub will also house a theatre, hosting sessions and screenings throughout the daytime and evening programme. Are you a researcher, producer or director searching for captivating content for your next creative project? This is your opportunity to meet the team from ScreenOcean while enjoying a tea, coffee and a breakfast pastry at FOCAL International’s popular Breakfast with the Archives series. Be a happy early bird and buy your week ticket to this October's Wildscreen Festival, the best nature films event in the UK, saving 20% on the full price. You've got less than two weeks before the cost goes up. Prices won't go any lower! Following a month of programming focused on female filmmakers and female stories in June, in July BFI Southbank’s two month season dedicated to the inimitable Agnes Varda will conclude, with the director attending for a special In Conversation event on Tuesday 10 July. The annual celebration of gay filmic pride returns to the South Bank, showing classic and new films from around the world: 50 features, more than 90 shorts and a wide range of special events, guest appearances, discussions, workshops, club nights and much more. NHNZ, an award-winning factual producer, announced today a new appointment to its growing US-based team ahead of Realscreen 2018. Liz Brach has been appointed to a newly created VP of Production and Development position and will operate out of NHNZ’s Silver Spring office in Maryland, USA. The international press organisation has released its annual Journalism, Media, and Technology Trends and Predictions report for this year. The report aims to give media professionals an insight into the direction the media is going. There will be a service on January 7th, 2018 at 12:30 pm at the Roxie Theater, 3117 16th Street, San Francisco, for the Memorial for Stephen Parr, artist, archivist and producer, who passed away in October 2017. Stephen was the mind behind Oddball Films and the San Francisco Media Archive, and the former proprietor of Club Generic. The landmark BBC series has been upgraded to ensure that it will look good, as part of a trial of high dynamic range (HDR) imaging on BBC iPlayer from Sunday 10th December. The David Attenborough series has pioneered new photographic techniques and has stunned viewers with its footage of sea creatures and now will be even better. Type in panel detail of you want - Submit.